Make your own Bibimbap, indulge in our popular handmade Korean Dumplings (Mandu). Whether you're dining in or carrying out, we use only the freshest ingredients to provide you with a delectable experience. Come and Eat More Veggies! 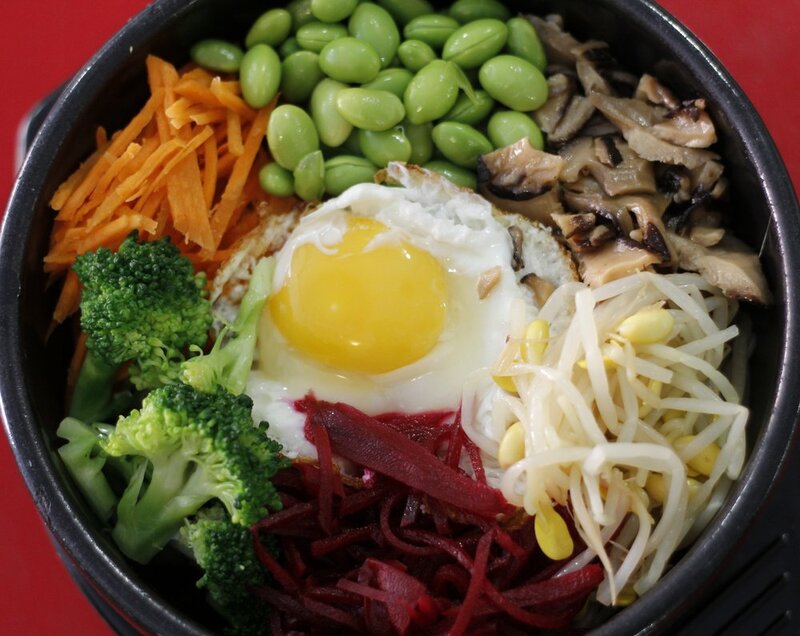 Bibimbap is a signature Korean dish that translates to "mixed rice" in Korean. Traditionally, bibimbap is served as a bowl of warm rice topped with namul (sautéed and seasoned vegetables) and gochujang (chili red pepper paste), soy sauce, or doenjang, a salty soybean paste. A fried egg and sliced protein are common additions. The hot dish is stirred together throughly just before eating. 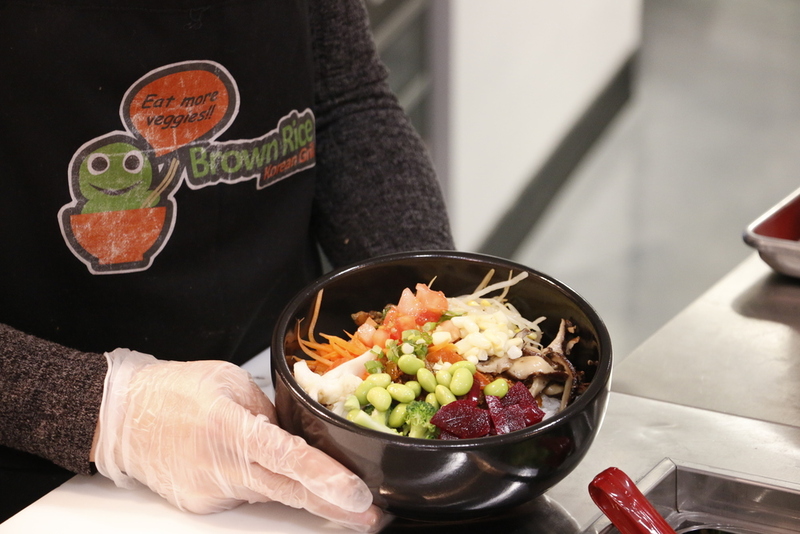 Here at Brown Rice, we believe have added some new ingredients and homemade sauces for even more options and flavors. We believe in providing you with the freshest ingredients to enjoy your Bibimbap just the way you like it. You can choose from three bowl sizes (Be Bowl, Super Bowl, and Hot Stone Bowl) and from different rice types including brown rice, white rice, and our own blended multi-grain rice (a blend of short-grain sushi rice, fragrant jasmine rice, wild black rice, and kidney beans). Fill your bowl with up to seven types of fresh Korean vegetables. From kale salad, grilled zucchini, and carrots to fresh homemade kimchi, homemade pickled veggies, and shiitake mushrooms. Finally, add any of our homemade sauces to top your bowl off! To create your own Bibimbap!